Magazine advertisement from 'The Geographic' for Thomas Cook & Sons, New York. 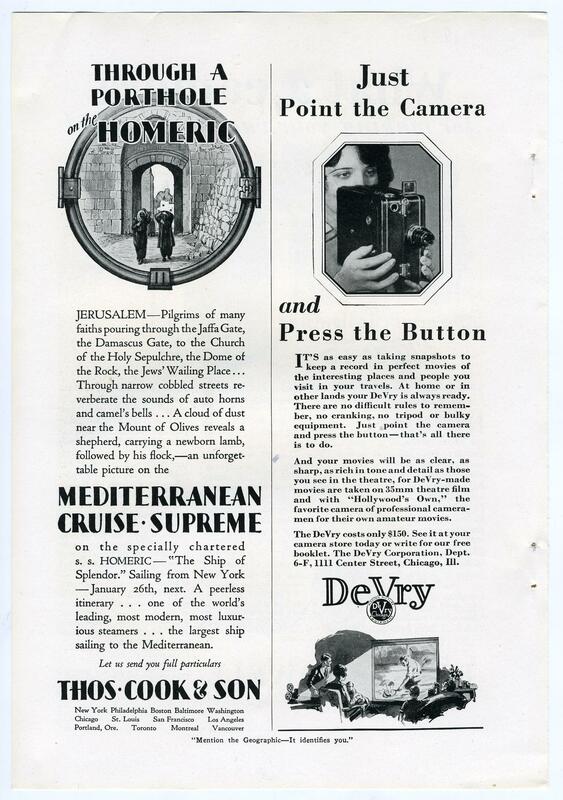 Title of advertisement 'Through a Porthole on the Homeric', advertising a 'Mediterranean Cruise Supreme', on White Star Line ship Homeric, sailing from New York on 26th January 1929. Trip to Jerusalem described, with illustration of porthole containing view of gate.